one chapter of His epic tale without her flowing from His heart and onto the page. Before misogynists demeaned her and governments oppressed her. Before religion veiled her and preachers silenced her. Before covergirls shamed her and employers underpaid her. Before fathers neglected her and husbands abandoned her. Before the world fell and forgot her worth – she was Woman. Prized. Honored. Essential. Loved. A queen. At Compassion she still is. 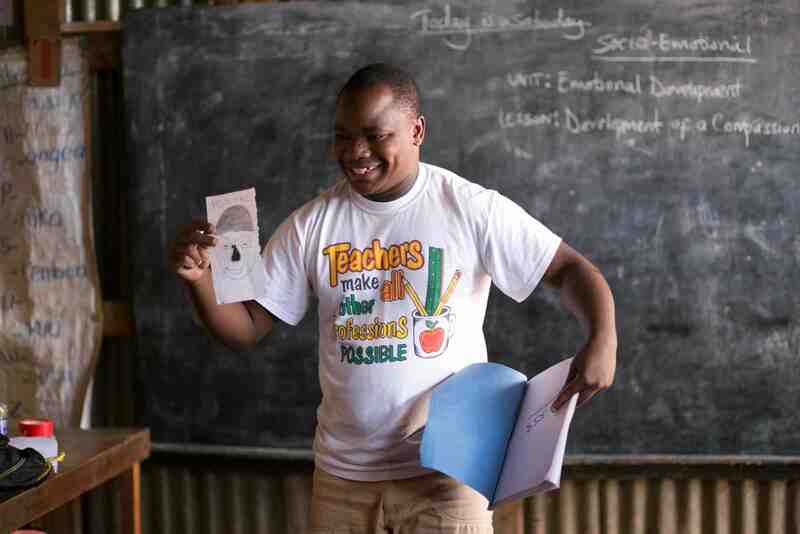 Shaun Groves shares from his experience with some amazing women connected with our program in Kenya. Read his full story “What We’re Called Really Sticks: How Our Words Can Change a Life” over at our friend, Ann Voskamp’s Blog. 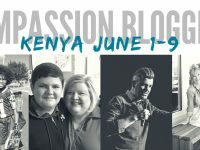 Shaun, Jamie Ivey, Sophie Hudson and Bri McKoy have been on a journey this past week to learn, embrace and share the stories of the communities in Kenya in which our local church partners minister. 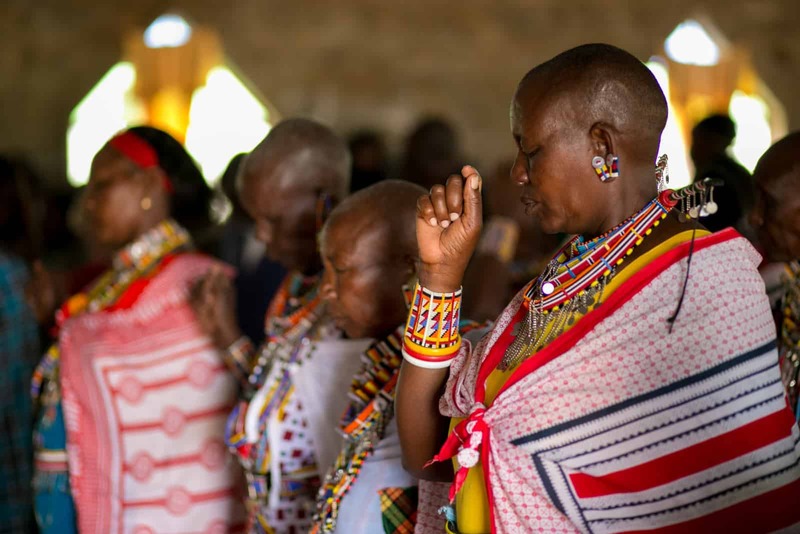 From the beautiful Rift Valley to the Mathare slum in Nairobi, they were welcomed with song and dance as friends, as family … the Church. And here are some of their stories. We hope you are as moved by them as we were. Today my son, Deacon, and I sat in the house of a woman who has hope for her two girls who are a part of the Child Sponsorship Program. 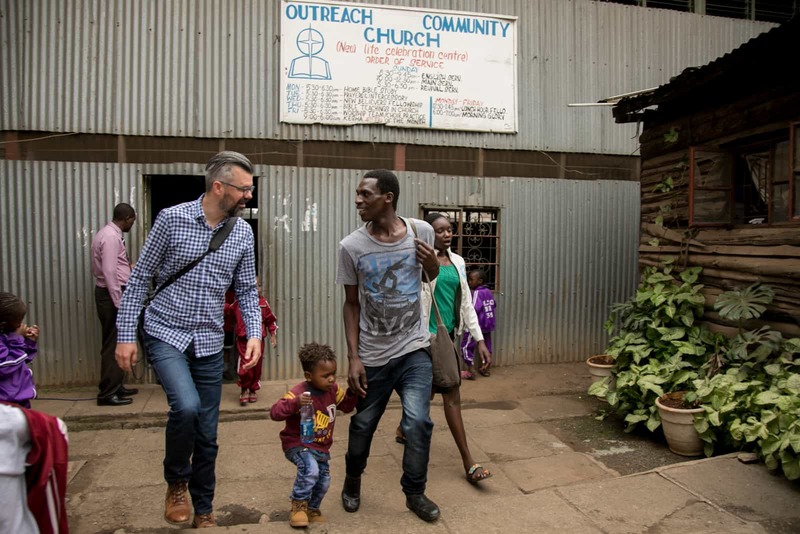 We had to first walk through the slum area called Mathare, which is the second-largest slum area in the city of Nairobi and has more than 600,000 people living there, to get to her home. This church on the other side of the world welcomed us into their fold, they treated us as one of their own, and for two hours we saw a small glimpse into what forever will entail. We may look different, but we all sing to the same God. We may talk differently, but we’re all singing the same praises. There’s something special about people bringing you into their space and not holding back. In fact there’s something amazing about people making you feel as though you belong with them. That you aren’t indeed an outsider invading their space, but yet that you belong there too. This was the day Jamie and Deacon were officially welcomed into Brayan’s family, the little boy they sponsor! 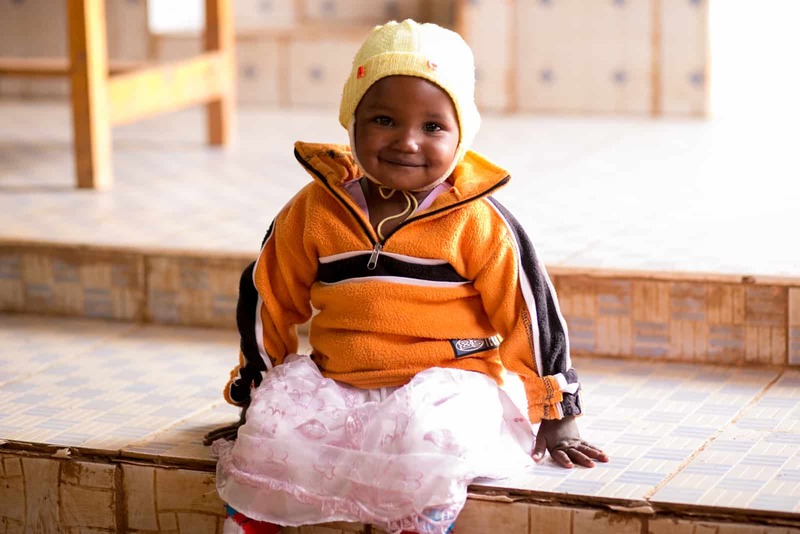 Jamie shared on her podcast, “The Happy Hour With Jamie Ivey,” before she left that there were eight children in need of sponsors at the child development center at Najile Church where she would be visiting. 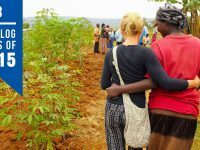 Within hours, eight loving people stepped up to sponsor them! Jamie got to meet all eight children and say…. I was able to meet every single one of those eight kids and tell them that they now have a sponsor. I stooped down on their level, looked in their eyes, and told them that someone on the other side of the world cares about them. For some of them, I handed them a photo of their sponsors and showed them the actual person that has declared they are interested in their life. It was one of the most memorable things I’ve ever done. I truly felt as though I was there as a representative for these families. I hugged them each and told them that someone cares for them. That someone is committed to praying for them. Click through the Instagram images below to meet Tirike, one of the kiddos whom Jamie met and now has a sponsor! I loved listening to Deacon recount things from the week. My prayer is that this week will forever be implanted on his heart, and that his desire to serve the least of these will only increase as he grows older. Seven years ago, I sloshed my way through the muddy serpentine paths of the Mathare slum to meet Eliud. Eliud was a dapper Kenyan teenager then. He was wearing his school uniform, a seafoam green tie and gray sweater. His home was cobbled together from wood and rusting corrugated metal, and smaller than the average American bathroom. But he smiled large and often. Because he believed God had been good to him. Does he still believe? Still smile? Still live in that rusted box? I’ve flown 8,680 miles to find out. 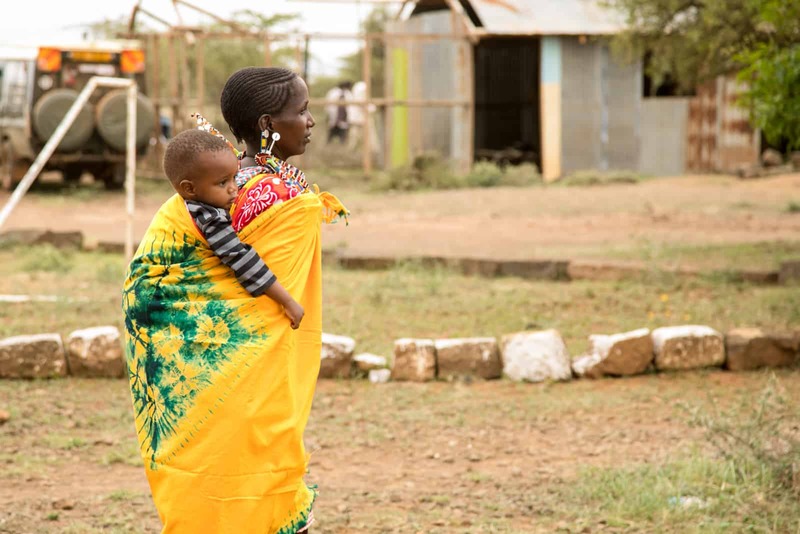 Do you want to know what’s ordinary in Kenya? Forty-four percent of the population lives on less than $2 a day. Those living in this extreme poverty are sick without health care, hungry without proper nutrition, hard-working but without jobs, willing to learn but without access to education, frightened and despairing without knowing that God sees them and loves them. 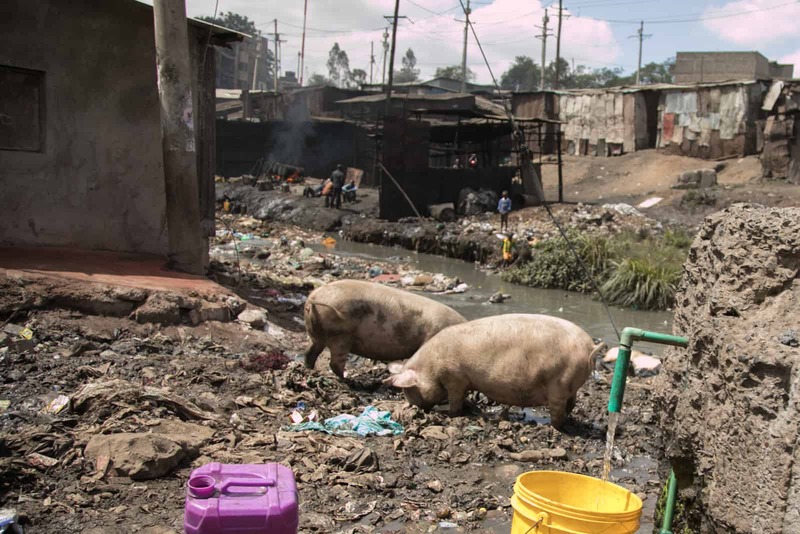 Get a glimpse of how God’s church is a shining beacon even in the darkest of living conditions in the Mathare slum. It was hard for me to get my mind around the stark contrast between the hope and peace behind the gate where the church sat from the evil and stench that was just feet away. That seems … undeniably simple. It seems instinctually like the mark of Jesus. As Bri says in this post, “Sometimes hope comes in the form of a conga line formed by mamas and babies.” Check out the video in Shaun’s Instagram post below to see the families of K.A.G. 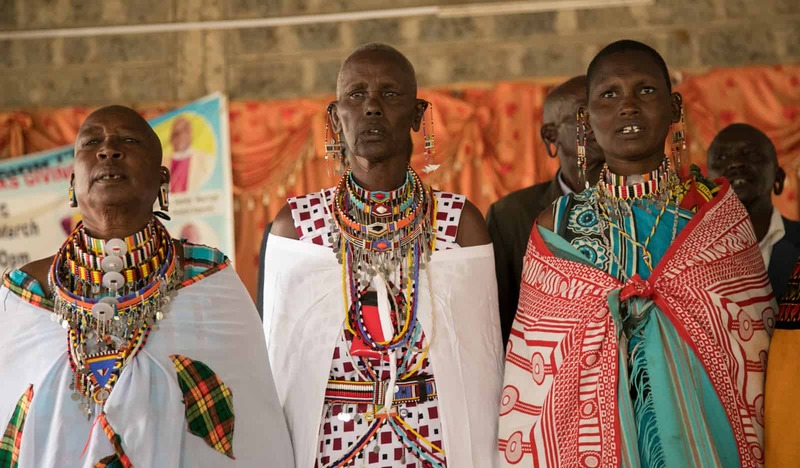 Githunguchu Church in the Rift Valley dancing their hearts out! After awhile I lean toward Eliud, the man who grew up in the Mathare slum. I look at him beaming bright with his boy right next to him. And I hope for Smith, the child I just sponsored who is right now this very minute in the slum, I hope that he can grow up and be like Eliud. With a good job. A family. Out of the slum. It’s so tempting to see poverty up close and just settle for being overwhelmed. It’s easy to think the problem’s too big, or the problem’s not actually the problem, or the problem needs to be handled by somebody else. 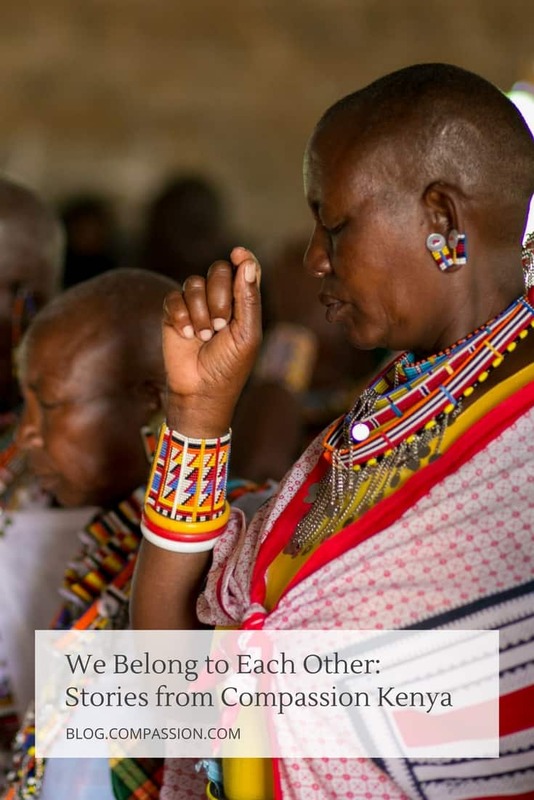 In a political climate where we hear so much about who gets in and who needs to leave and where we draw the line and where we build walls, it’s easy to lose sight of such a simple truth: We belong to each other. We were an ocean away from our physical address, but we were at home. Sophie and Alex met Ruth and her son, 8-month-old Joseph. 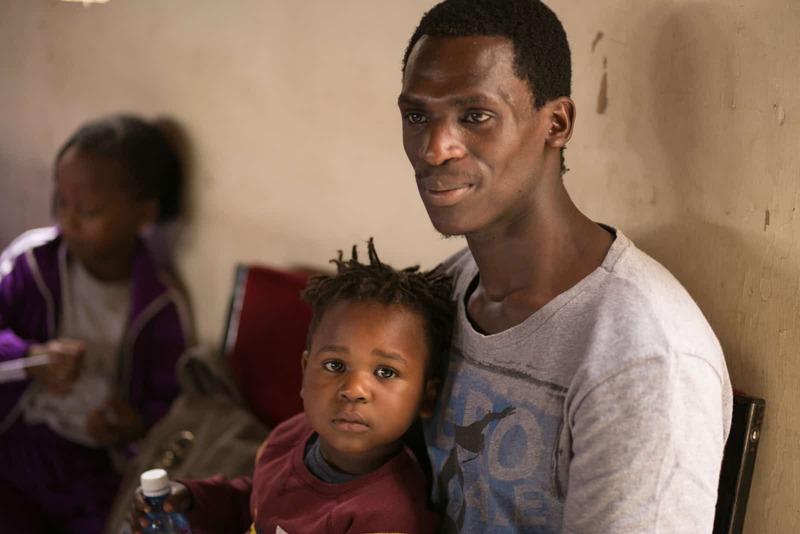 When Joseph turns 1, these two families will be united because the Hudsons are going to sponsor him! We bear the image of God. And He deserves all the glory. I can’t think of anything that would honor Him more and honor His people more than taking care of each other. We have the privilege of being able to step up and speak up and fight for children who don’t have a say in their circumstances, children who are so precious in His sight. 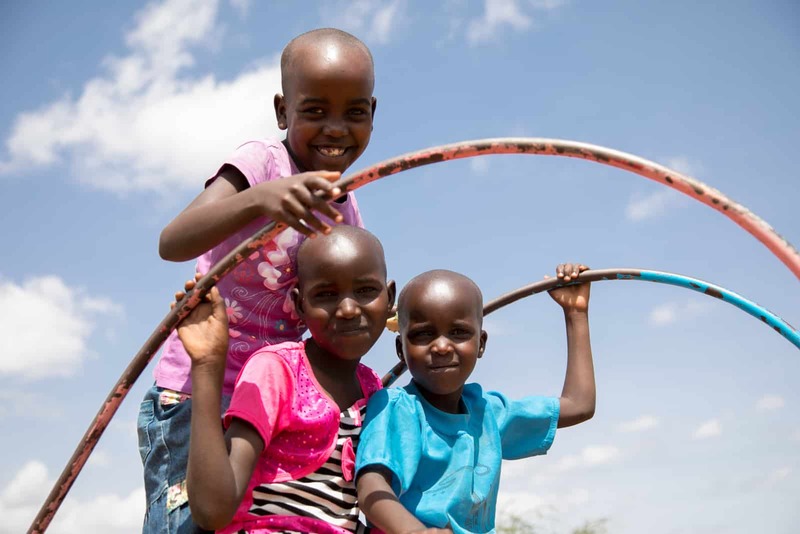 Will you step up and fight for these children in Kenya? Will sponsor one of them today? I have a question, who do I write to? Hi Becki! We are happy to answer your questions :). 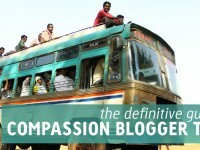 If you would like to ask us privately, I encourage you to email us at socialmedia@compassion.com.